Your meter is the gateway to your energy consumption, with your supplier using it to estimate your monthly bills. That means that there is a lot of power contained in that little box. If it starts to break, you could end up being under or overcharged £100s, and the more you know about it, the more money you can save. 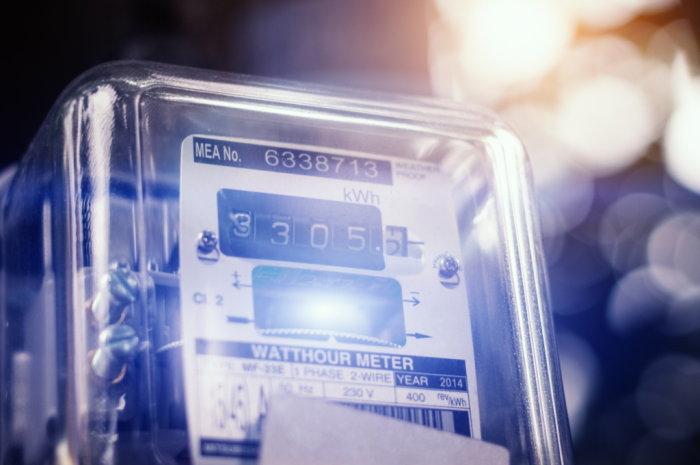 Let’s take a closer look at electricity and gas meters, including what they are, the different types and how you can read them. An electricity and gas meter typically sits on the outside wall of your home. It will be placed where your power enters your home, so you may be able to look it up to find out where it is located. Your meter tells you exactly how much electricity you have used. This makes it far more accurate than energy companies who often try and estimate your bills based on the size of your home or the people living in it. It is also why your supplier will ask you to send readings. So you won’t be under or overcharged for your energy due to estimates. How do I read these meters? If you have a single rate digital meter, you will have a digital or electronic display. You’ll notice that you will see five numbers that are usually either black or they might be white, then they might be followed by numbers which are red. If you get your electricity for different prices at different times, for instance with an Economy 7 tariff where you get a day rate and a night rate. The top row is the ‘night’ and shows you how much cheaper electricity you used. The bottom row is ‘day’ and shows you how much regularly priced electricity you have used. Some meters that are two rate meters only have one digital display to view. A dial meter often has five or more dials. Each of these dials will ultimately turn to face a number between zero and nine. Then, with any underlined numbers check the next dial to the right. If the indicator has a number between 9 and 0, lower the digit you’ve underlined by 1. For example, a 3 followed by a 9 should be written as a 2, you should also underline this. This has an electronic display, usually showing five numbers and then a point which is decimal, followed by more digits. This meter will only show four numbers in either black or possibly white, usually followed by two numbers in red. While with a credit meter you pay for your energy after you have used it, a prepayment meter as the name suggests means that you pay for your energy before you use it. Unfortunately, prepayment meters are often actually more expensive when it comes to the cost of your energy per unit, and the cheapest prepayment tariff is far more expensive than the cheapest fixed rate tariff.